Der Artikel Dirk Maassen (geb. 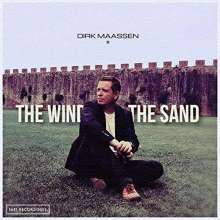 1970): The Wind and the Sand wurde in den Warenkorb gelegt. Dirk Maassen is a German composer and pianist who took up piano at the age of 10. In the 1980s he performed in several bands and projects and started some experimental cross genre productions where he experimented with different styles. During the 90s Dirk toured with his band »In Contact« and released 2 albums with »In Contact« and his side project »Unknown Vision«. He returned with his solo piano in 2011, which is according to him the most immediate instrument to materialize ideas and feelings into something that can resonate with the audience. Now with a huge following on Spotify, soundcloud and youtube Dirk has become one of the worlds most streamed piano composers. His compositions have touched millions of listeners worldwide and have been featured in several film projects so far including an award winning movie at the Cannes Film festival in 2015.